The 1965 Watney’s quality control manual we’ve borrowed contains recipes for two brown ales: Watney’s and Mann’s. Because Mann’s is still in pro­duc­tion, we’re a bit twitchy about shar­ing the details, but the fol­low­ing infor­ma­tion should enable you to pro­duce at home some­thing resem­bling Watney’s Brown as it was in 1965. Hops are 90% Fug­gles (from three growths) and 10% Gold­ings (two growths) all added for the entire­ty of the hour-long boil, to achieve tar­get IBU. Water (all water used in the process) – treat to achieve 25 grains per gal­lon sul­phates; 45 grains per gal­lon chlo­rides. MASH at 158F (70c) for 1½ hrs; 1st sparge 175F (79.5c); 2nd sparge 160F (71c). BOIL for 1h with Invert 3 sug­ar, caramel and Fug­gles hops. Add Irish Moss (for home-brew­ing pur­pos­es, a tea­spoon) 10 min­utes from the end. Pitch yeast at 60.5F (15.8c) — Mort­lake 114, or a blend of 114 and 118, at a rate of 0.75 lbs per bar­rel, in case you hap­pen to have any handy. (Here’s a thought…) Alter­na­tive­ly, a fair­ly neu­tral Eng­lish ale yeast is prob­a­bly best. They added Watney’s Yeast Food, so con­sid­er using a yeast nutri­ent of your choice. Dur­ing fer­men­ta­tion, keep tem­per­a­ture below 69F (20.5c). Under Excise super­vi­sion there was some mon­key­ing about. First, ‘prim­ings’ (unfer­ment­ed beer, we think) at 1114.7 was added to bring the grav­i­ty down, at which point its strength was declared for tax pur­pos­es, then ‘break­ings’ were added to bring it back up to 1030. (UPDATE 13:13 14/11/14: see com­m­ments below.) Though they don’t give much detail, assum­ing the term is being used in its tra­di­tion­al sense, ‘break­ings’ were spoiled or returned beer. After 12 hours, it was pumped to the fil­ters via ‘the car­bon­a­tors’, and then bot­tled. As well as using up old stock, and enabling a tax fid­dle, this may also have giv­en the beer a bit more com­plex­i­ty. It might well be a good way for home­brew­ers to get shot of a bot­tle or two from a pre­vi­ous duff batch. Sug­gest­ed cor­rec­tions and queries are wel­come, as are mem­o­ries of drink­ing Watney’s Brown. * Cor­rec­tion #1: by us, and quite a big one – WBA (brown ale) and WSM (spe­cial mild)seem to have been the same beer after all. like chop­ping up rot­ten meat with fresh meat and fry­ing up burg­ers, umm­m­mm. Only not. More like mix­ing old and young gueuze, real­ly. You’ve acquired an unbal­anced ital­ics tag btw – way up at “Buy Brew Bri­tan­nia”. This is some­thing Simon John­son picked up in his Craft Beer Man­i­festo: why is delib­er­ate­ly soured beer good but acci­den­tal­ly soured bad? In this case, we don’t think they were blend­ing in care­ful­ly matured 5X stock ale, but per­haps it had some of the same effect? Bung­ing in returns, as your link sug­gests, goes back at least as far as the ear­ly 19th cen­tu­ry, and prob­a­bly much ear­li­er: it was cer­tain­ly a com­mon prac­tice among the big porter brew­ers. I sus­pect it’s like vine­gar on your chips: a lit­tle adds piquan­cy. The Mann’s Brown was pre­sum­ably a con­sid­er­ably sweet­er beer, with loads of caramel, than the Watney’s Brown: cer­tain­ly it was regard­ed when it first came out as a sweet beer. It cer­tain­ly had a lot more caramel in it, and Mann’s had cane sug­ar added at prim­ing, left for 24 hrs before pack­ag­ing. Oth­er­wise, stats, includ­ing IBUs from hops, look the same. EDIT: slight­ly headache-induc­ing try­ing to deci­pher some of this, but I think the ‘going out grav­i­ty’ for Mann’s was 1035 for Mann’s vs. 1033 for WBA, so that would mean more resid­ual sug­ar, right? Prim­ings are a sug­ar solu­tion. Adding them would bring the grav­i­ty up, not bring it down. Hence why the Excise peo­ple had to be involved. I nev­er assumed that prim­ing sug­ar would have duty payable, but of course it had to, because oth­er­wise it would cre­ate a mas­sive loop­hole – you could declare a beer at 1.035 and then bung enough prim­ing in to bring it up to 1.039 or so. I won­der why they were adding malt extract to the mash. It seems like a good way to make sure some of it is wast­ed. Er… yeah, I think you’re right. Any­way, it was super­vised, and end­ed up at about the same place. Here in Albany, NY, ‘break­ings’ may have been used as well (although they were not referred to as that) Ams­dell Brew­ing & Malt­ing Co. blend­ed what they refer to as ‘old ale’, back into their turn-of-the -cen­tu­ry porter (as Mar­tyn men­tioned), but then also vat­ted and aged the blend­ed beer. I just wrote about it a month ago, in fact! Oh! Ams­dell also added their ‘break­ings’ pri­or to fermentation—or at least in 1901 they did. 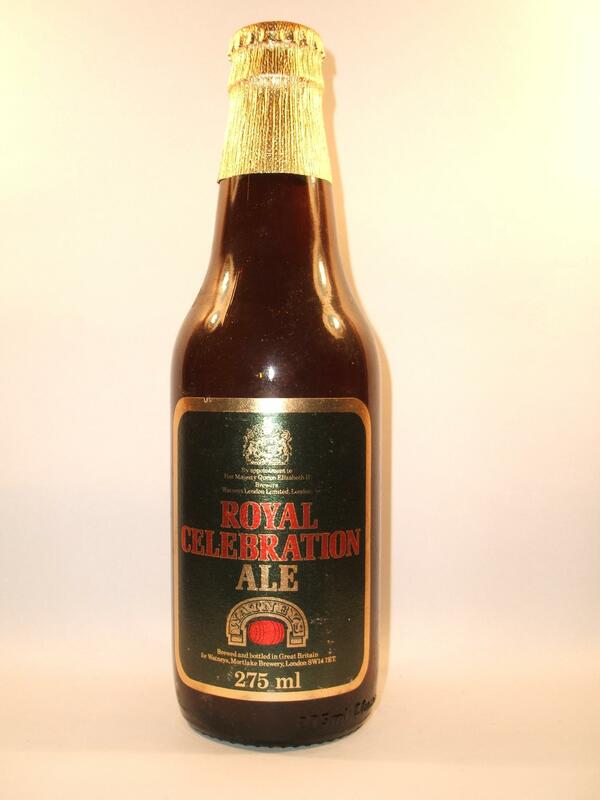 …and the added ‘old ale’ made up 21% of the total final vol­ume!